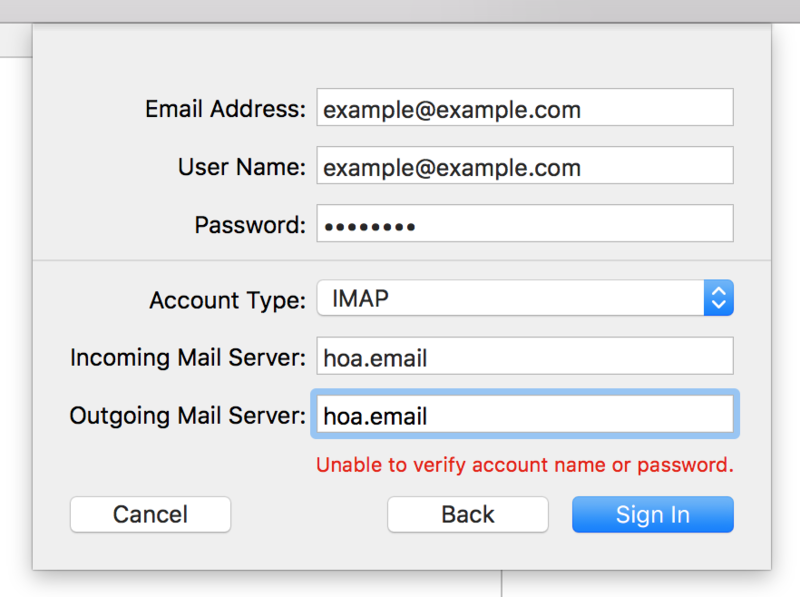 Instructions for syncing an email account with an older Mac. 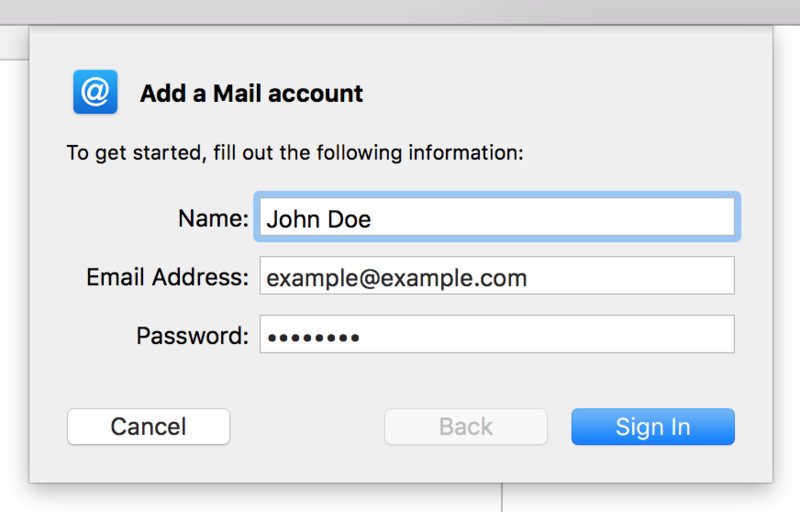 If you'd like to sync your community branded email account with Apple's Mail app on Mac OS X, follow the steps below. If your Mac is running macOS instead (most Macs will these days), check out this guide. 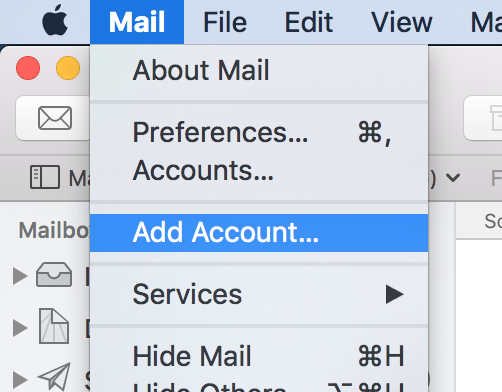 Open Apple's Mail app and begin the click the "Add Account..." menu option. 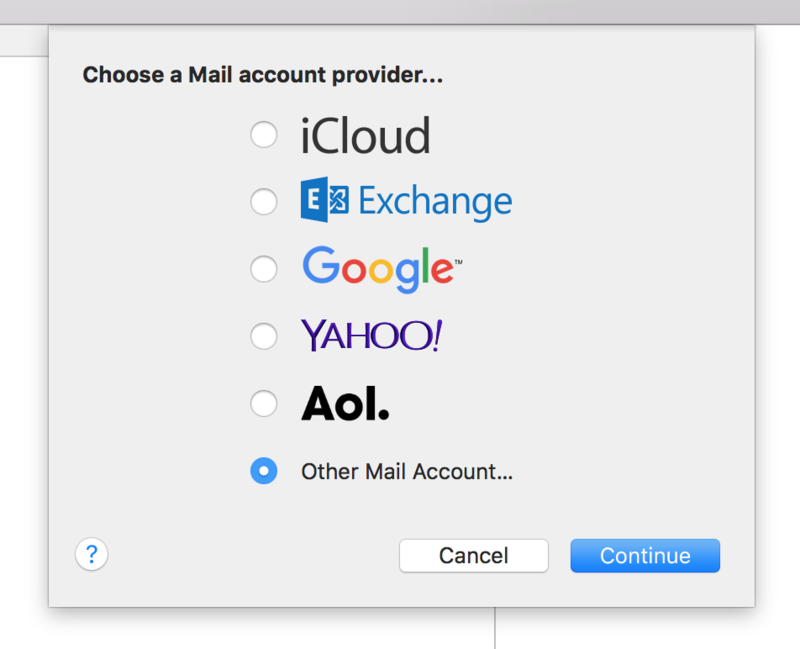 Choose "Other Mail Account..." and continue. Enter your account details and click "Sign In." 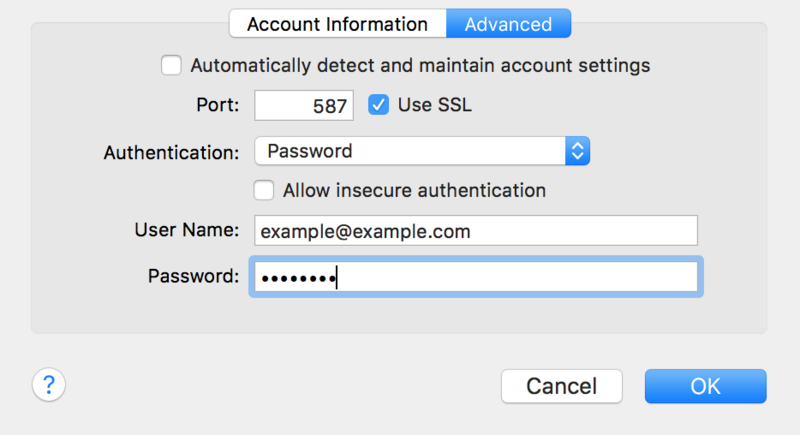 Fill out the additional settings as seen below, making sure the "User Name" is filled out; then, click the "Sign In" button. Wait for the following screen to finish loading. If you receive the following error message, simply click "Next." 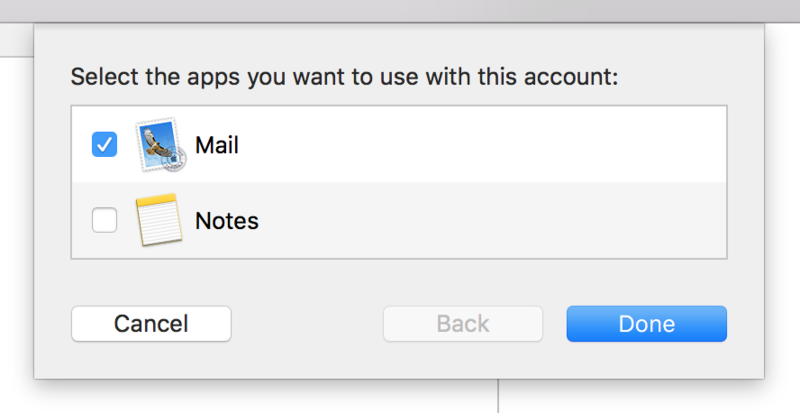 Uncheck "Notes" and click "Done." 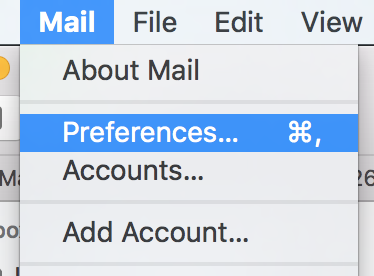 Select your new email account in the list. Ensure you're on the "Account Information" tab. 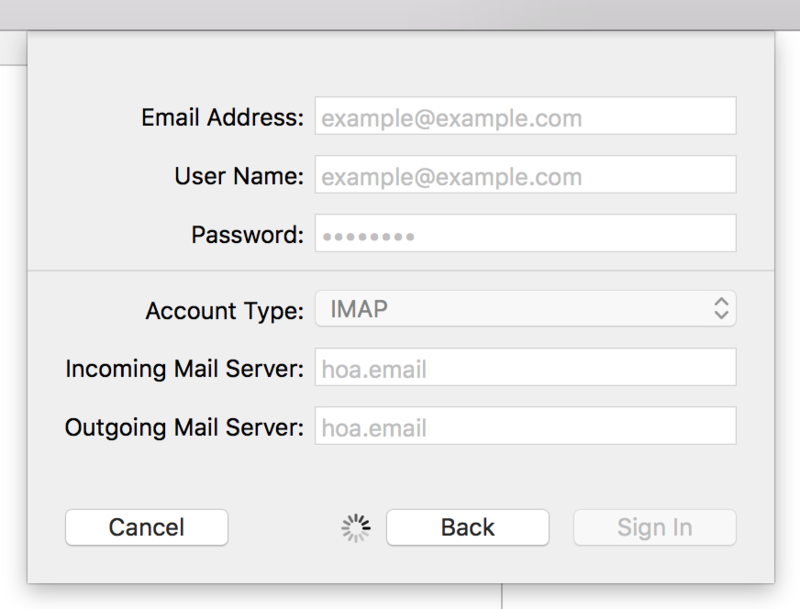 Find the SMTP dropdown and select "Edit SMTP Server List..."
Edit the "Advanced" information for the SMTP server to match the following... Then click "OK."
Now move to the "Advanced" tab.